Howard Backen at the Harlan Estate, which he designed, in Oakville, Calif. Harlan produces some of the world’s most sought-after wines. 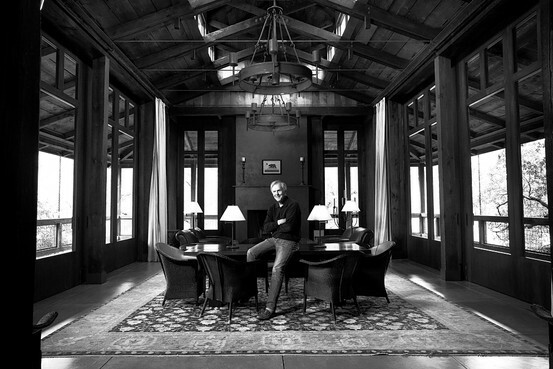 Howard Backen is famous for designing buildings that are rustic on the outside and luxurious on the inside. He’s also renowned for his ability to work with high-profile, highly demanding clients. Mr. Backen has also worked on plans for a Pacific Palisades home for Nancy Meyers, who directed the films “Something’s Gotta Give” and “It’s Complicated.” Known as a perfectionist, Ms. Meyers said that Mr. Backen listened carefully and sketched out his ideas on onion paper throughout their meetings, sometimes returning with entirely new plans. Describing him as “enormously talented” and accommodating, she said that it’s no coincidence a key character in “It’s Complicated” was an architect, played by Steve Martin, whose office was decorated with photos of buildings that Mr. Backen designed. On almost every Thursday for the past 18 years, Mr. Backen has met with Napa Valley vintner Bill Harlan, known for his close attention to detail and for producing some of the world’s most sought-after wines. The two are now working on Mr. Harlan’s fourth winery; Mr. Harlan first hired Mr. Backen in 1993 for his home, after he’d already spent more than a decade working with three other architects and dug multiple foundations. 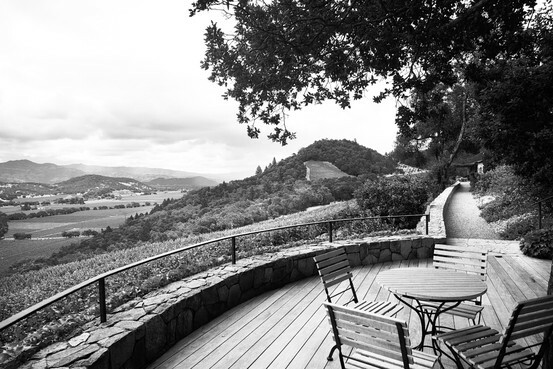 A deck overlooking vineyards at Harlan Estate. Other projects by Mr. Backen include a just-built “very un-Hollywood” house for Jeffrey Katzenberg, the CEO of DreamWorks Animation, Robert Redford’s Sundance Institute in Utah, the Esperanza resort in Baja and the new Continuum winery for Tim and Marcia Mondavi. All of the projects incorporated elements from rural structures into otherwise modern buildings. Mr. Backen, 75, begins each day by braving the cold outside to reach the outdoor shower off his bedroom, which he finds invigorating. He often rides his Trek bike about 2½ miles from his home in Oakville, Calif., to a single-story farmhouse in St. Helena, where about a third of the firm’s staff work. There, he usually parks himself in a light-filled conference room with a large table that overlooks the pool of an adjacent hotel. “There are no doors. No rules. People continuously wander in,” he said. His assistant generally leaves him at least two days a week without any scheduled meetings so that he can drop in unannounced on construction sites. He often prefers to visit construction sites without the client, talking with the workers to hear directly from them about any problems, as well as to brainstorm ideas. He also keeps time open to work without interruption, often at home, where it is quieter. As his wife, interior designer Lori O’Kane Backen, put it: “He never doesn’t work.” He keeps sketch paper and a pen on his bedside table. Some of his best ideas come to him between two and four in the morning. When these night-time inspirations hit, “sometimes I just get up, because I can’t sleep anymore,” he said. One of his favorite spots for drawing at his five-acre compound is a long zinc table in an open-fronted pool house shaded by a corrugated metal roof. He doesn’t work on a computer because he feels it slows him down. 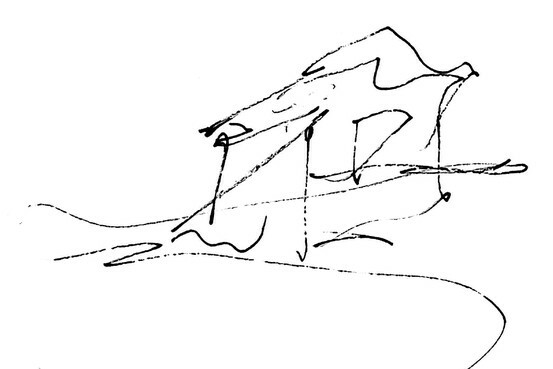 Instead he sketches out his ideas on a roll of tracing paper and then turns them over to others in his firm, who transform them into computer drawings. One new venture is a stake he’s taking in a new restaurant, where he, his wife and his daughter are designing everything from the napkins to the kitchen. “I never think about it as a job. It’s what I do 24 hours a day,” he said. He gets some of his best ideas late at night, when there are fewer distractions, and first thing in the morning in his outdoor shower. When he is facing a challenging problem, he reschedules meetings and informs both his wife and his assistant that he needs to concentrate without distractions. He listens to classical music while he works and particularly likes Mozart, which his daughter also plays on the piano at the family’s Oakville home. One of his favorite books is “Architecture Without Architects” by Bernard Rudofsky. He believes his bracing ritual of outdoor morning showers is one of the reasons he still has so much energy in his mid-70s.